The reason that field programmable gate arrays are used today is because of how easy they are to configure. On a base level, these are nothing more than configurations of on and off switches. They use logic blocks, ones that are turned on and off through electrical impulses. These impulses are directed through the programming of the FPGA to enable it to perform certain functions. This ingenious idea was first made into a product by Xilinx out of San Jose. Since that time, other companies have done the same, including the Intel company Altera. These can be both very expensive, and extremely affordable, depending upon the model that you are choosing to use. There are quite a few FPGA configuration methods that exist today, and they all revolve around the type of software that is used. 1 Why Do FPGAs Need To Be Configured? 3 What Can They Be Programmed To Do? 5 What If You Are Not A Professional Programmer? 6 Are There Any New FPGA Configuration Methods? 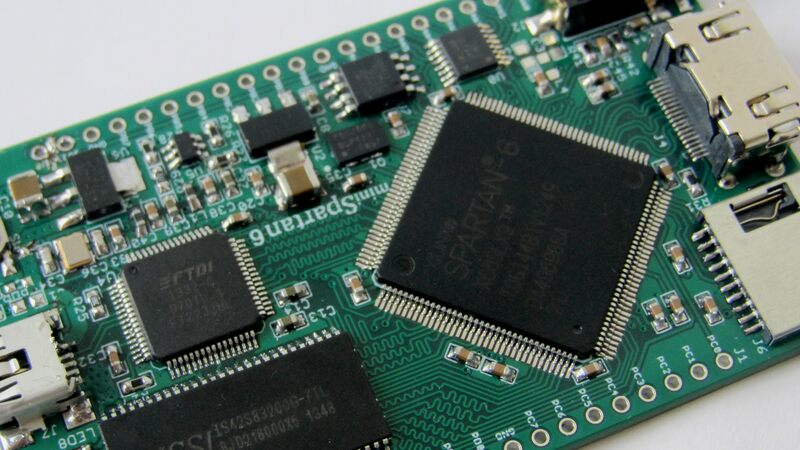 7 Which FPGAs Are The Easiest To Program? Why Do FPGAs Need To Be Configured? If you have never learned about the interior of computers, or any other type of electronic device, you should know that field programmable gate arrays make it possible for these devices to function and do their job. When you are looking at medical equipment, or electronic equipment at your home, these FPGAs are doing most of the work. They consist of tiny gates that, when configured properly, will allow these devices to function. Without the programming, they will not work at all. That’s why finding a programmer, or obtaining the right configuration software, is the key to making these function as they should. The software that you will receive from the company that you purchase field programmable gate arrays from will be designed to do the configurations. You must understand how to use that software, and also use a particular type of programming language. These languages include what is called Verilog and VHDL. These are considered to be standard languages, ones that can easily be used to configure FPGAs for different systems. Even if you can program them on your own, you might wonder what they are being programmed to do. What Can They Be Programmed To Do? To understand what they do, you must first understand their role in electronic equipment. For example, if you have a computer, alarm system, or even a missile, they are designed to do specific things. These configurations are the result of the programming language that is used to organize the logic blocks in FPGAs. Therefore, they can be configured to make digital displays work, or can be used with radio astronomy instruments. There are so many different applications for field programmable gate arrays. It is because of this invention that we have seen a significant rise in how electronic equipment is designed and used. If you do not know those languages, and you would prefer someone else doing this, there are always going to be businesses that will have programmers that can do this for you. There are several other software programs and languages that have been developed over the decades. As far back as a couple decades ago, they were teaching kids in college how to use the programming language of C. Other development software tools were designed, along with new languages, which would include my HDL, CHISEL, BSV and SPINAL HDL to name a few. If it seems odd that different languages can achieve the same result, it’s really not that hard to understand. Even though the programming language is different, they are interacting with the FPGA, maneuvering logic blocks with different software commands. For those that do this regularly, they are simply more comfortable with one particular language over another. All of them know that they are using the software programs and languages to configure field programmable gate arrays. What If You Are Not A Professional Programmer? If you have ever wondered why programmers make so much money, it is because they are paid for their knowledge. There are only a limited number of programmers that understand one or more of these programming languages. The programmer is not just skilled with the language, but they are capable of creating entire routines that are designed to operate these systems. Some programmers are paid six figures for devising the programming for CT scan devices, real-time video engines, and even communications systems that broadcast television shows and movies worldwide. If you do not know how to do this, you will always be able to find a programmer that will take the time to help you complete your project with Direct Components Inc FPGA on sale. Are There Any New FPGA Configuration Methods? One of the latest methods for programming field programmable gate arrays is to do so over a USB port. In field upgrades can be achieved by doing nothing more than putting a stick drive into a USB port so that changes can be made. This may not have been possible years ago because of how slow standard USB ports were. The main problem would have been the lag time between implementing the programming code and the FPGA performing the function. Which FPGAs Are The Easiest To Program? The ones that are the easiest to program tend to be those that have limited capabilities. It doesn’t matter what language you are using. It’s all about how complex the programming is going to be. Going back to the example of FPGA development boards, the commands are so simple, anyone can understand what to do. It’s only when the programming becomes complex that you will absolutely need a programmer that uses one or more of these languages. Programming FPGAs has always relied upon certain software programs and languages that can make the logic block alterations. Once they are programmed, you will never have to worry about whether or not it’s going to work. That’s why hiring a professional to do this is highly recommended. If you need to know how to do this, you can take a course on the different FPGA languages. Otherwise, for the sake of time, you should contact a field programmable gate array programmer that can help you.